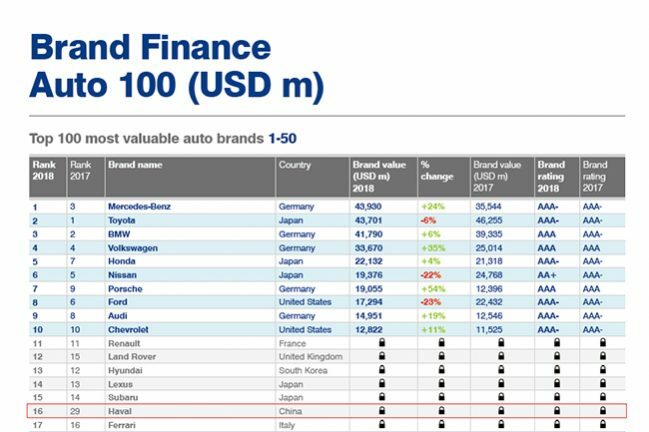 Recently, British brand evaluation agency Brand Finance released the “Top 20 Most Valuable Auto Brands in the 2018”. The Haval brand of Great Wall Motors ranked 16th on the list with a brand value of $6.8 billion, ranking first among other Chinese auto brands. A total of 21 Chinese auto brands were on the list of “Top 100 most valuable auto brands for 2018” released by Brand Finance. Among them, the value of the Haval brand as SUV leader has increased by 124% year-on-year, and the ranking has increased by 13 places, ranking it first among other Chinese automobile brands. As we all know, Brand Finance is an independent consulting company for famous brand management and brand evaluations in the UK. It is also one of the top five international brand value evaluation authorities. The selection criteria for this list include public familiarity, loyalty, promotion activities, marketing investment, and employee satisfaction. As well as corporate reputation, the information used is from public channels, so its professionalism and independence are widely recognized by global listed companies. The achievements of Haval in the “Top 20 Most Valuable Auto Brands in the World 2018” are based on persistent hard work and passion for greatness. At the same time, the Haval brand also won numerous honors. -In May 2017, Haval was appointed as the “National Brand Plan – Industry Leader” by CCTV. -In September 2017, China Quality Association and National User Committee released the results of 2017 China Automotive Industry User Satisfaction (CACSI) evaluation. Haval H6 and H2 won the first market segment. -In October 2017, Haval H2 won the highest rating of Australia’s security collision tests and won five-star security strength rating. -In January 2018, at the 2017 China Performance Model Awards Ceremony hosted by the China Automotive Technology and Research Center, Haval H7 won the “Gold Award for Comprehensive Performance of Medium and Large SUVs”. -In May 2018, Haval F5 won the “Best (Self-Autonomous) First Car Award” at the Beijing Auto Show. HAVAL owes its success to the excellent performance of its entire lineup of models. With HAVAL H6 undoubtedly as one of the most eye-catching models. As of June 2018, HAVAL H6 has occupied the first place in terms of SUV sales in China for 61 consecutive months regardless of the ever fiercer competition in the China’s domestic SUV market, which fully demonstrates the excellent quality of various models and the huge influence of HAVAL as a superb brand. While the ace models still take the lead, the new models are catching up with them. 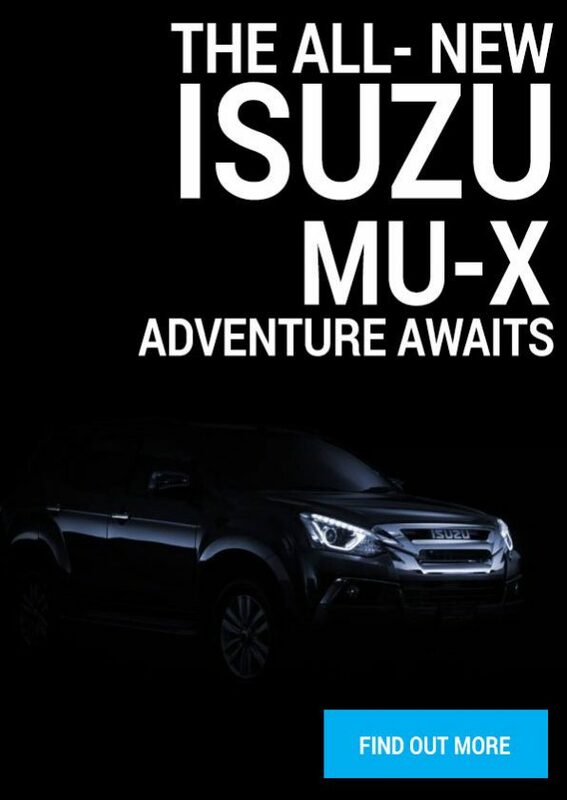 The numerous marketing promotions are also adding to the success of the brand value of HAVAL. From 2017 to 2018, HAVAL’s brand value leaped forward by 13 places, and we believe that with the current development momentum, HAVAL is bound to enter the Top 10 auto brands in the coming year.